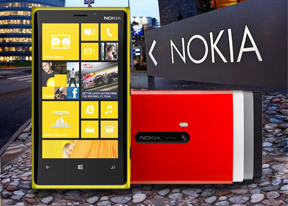 Kromer, 25 Oct 2012You can stream and download music for free from nokia music app . whats the point of having fm... moreYour head is in a bucket. Anonymous, 25 Oct 2012all windows 8 devices including huawei w1 (which cost only 230 euros) has free offline nokia m... moreYes, but unlike a Nokia device, you wont get voice guided turn by turn navigation. But yes, all WP8 devices will have Nokia powered navigating to some form. nice Smartphone so much better than Apple icrap 5 and better than Android aswell I will surely buy this Smartphone this Christmas :D !!!!! Microsoft & Nokia Keep it up cheers !!!!! Klaudio, 25 Oct 2012Your Huawei crap doesn't have offline Nokia maps, they're exclusive to Nokia phones, Huawei ha... moreall windows 8 devices including huawei w1 (which cost only 230 euros) has free offline nokia maps. if you dont believe me, type in google search (Nokia NAVTEQ maps come to Windows Phone 8 with offline support). you will see its a fact. SS, 25 Oct 2012And again, buy Nokia BH-221....FM Radio, 3,5 mm jack for headphones, NFC. If listening to FM... morewell i have to buy both gadgets then though i would have preferred all-in-one. maybe next time they will hear our cry. i can't use any phone other than a Nokia phone. i don't mind the weight even if it reaches 200grams i will buy it. value for money. cell, 25 Oct 2012wtf are they doing??? im nokia fan from 2002 and i dont understand why they didn't put FM radi... moreYou can stream and download music for free from nokia music app . whats the point of having fm radio if u can stream music anyway ? geon97, 25 Oct 2012so you want this GREAT phone yourself only? what i just want Nokia to do is to activate FM ra... moreAnd again, buy Nokia BH-221....FM Radio, 3,5 mm jack for headphones, NFC. If listening to FM radio, you dont even have to drain the phones battery. Euro 50, If you can afford this phone you certainly can afford BH-221. wtf are they doing??? im nokia fan from 2002 and i dont understand why they didn't put FM radio...even the 7210 from 2002 has FM radio that means it's very easy for them to put FM redio in 2012...lol (WTF)... what does it cost to them to put FM radio then? 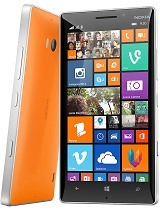 This phone is an amazing Nokia phone yet!!! Stands solid even against iPhone 5. Huawie cannot be even the page here. Period. Trust me, I am an iPhone user. There is nothing much difference in user experience between iPhone 3GS and iPhone 5 except display quality and camera( forget siri- no time to chat with pa's). And they say apple brings a revolutionary product every time.. Just hype.. And blind fans. And I did not find necessary to upgrade to iPhone 4 from 3GS.. 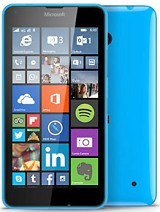 BUT now I have a solid phone and a solid reason to get Nokia lumia 920!!!! AnonD-70078, 25 Oct 2012Hi. I don't think this mobile is for you if you can't get internet then. . Maybe try Nokia Ash... moreso you want this GREAT phone yourself only? we are able to go on internet, read papers (news), check weather, update this or that but when it comes to radio it becomes very very expensive, for example listening to internet radio 1hr/day for a week at US1/10MB, you have to pay US25 dollars, but the majority spent not less the 3hrs. More over our local radio stations are not on internet. willboyce, 25 Oct 2012Hi. Lumia has good cam. Nokia music. Camera extras. Solid build. Wireless Charging . NFC. HD p... morei agree with you, you pay what you get and to those who always complaining that 920 is really expensive? why don't they just try to visit iphone 5 page to see what's the 'crap' word means, you pay for nothing. 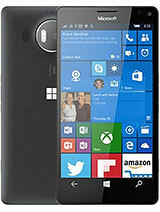 george, 25 Oct 2012lumia 610 710 800 all run windows 7.5. only lumia 810 820 920 run windows 8, but cost 500 to 6... moreNow I know that you dont know anything about Nokia. Lumia 610, 710, 800, 900 are all WP 7.5 and they can all be upgradable to windows 7.8 (as if you know it) and 920 is miles better than your Huawei. Don't act that you really know everything about Nokia coz you're not, even the basics on Nokia you don't know about it. If you don't have enough money then buy your Huawei now and leave this page. This is a Nokia page not Huawei so you can leave now! !